President Donald Trump's constant utterances and tweets are like the sound of an annoying fly buzzing in your ear. Do something about it! 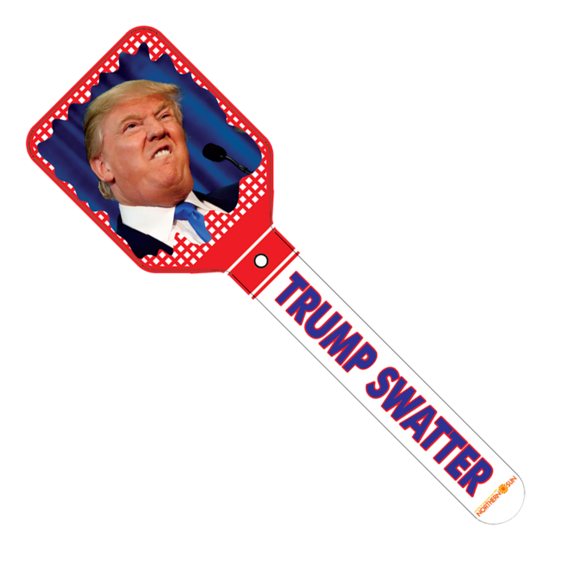 Pick up your Trump Swatter and smash it against something. It's good therapy too. Approx. 14" x 4"